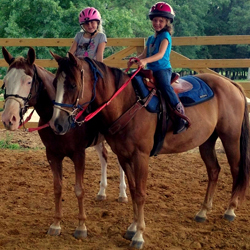 At Dixon Stables, HORSEMANSHIP is a top priority. Almost anyone can learn to ride, but if you lack horsemanship skills, you will inevitably come across a situation with your horse that you are not prepared for. We pride ourselves on developing a lesson plan that will meet your individual goals be it basic riding, competition or horse owner. We not only teach the fundamentals, we teach the foundation level steps that other facilities may neglect. 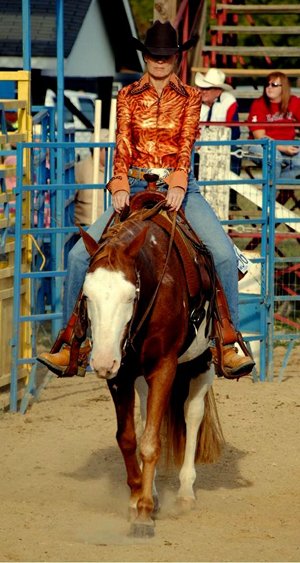 We offer Western riding lessons in a serene, safe, family friendly atmosphere. Our rates are $40.00/Hr for Private and $25.00/Hr for Semi Private (2-4 Riders). We have well-maintained stables and both indoor and outdoor riding arenas, trials and acres & acres of pasture riding. We teach all skill levels, beginner to advance, Children AND Adults. We have beautiful, gentle horses for teaching our students or you have the option of Haul-in if you would like to ride your own horse. To learn more or to schedule lessons with Lisa Musto, please visit her about page HERE. © Copyright Dixon Stables. All Rights Reserved. Design by MFlynn.